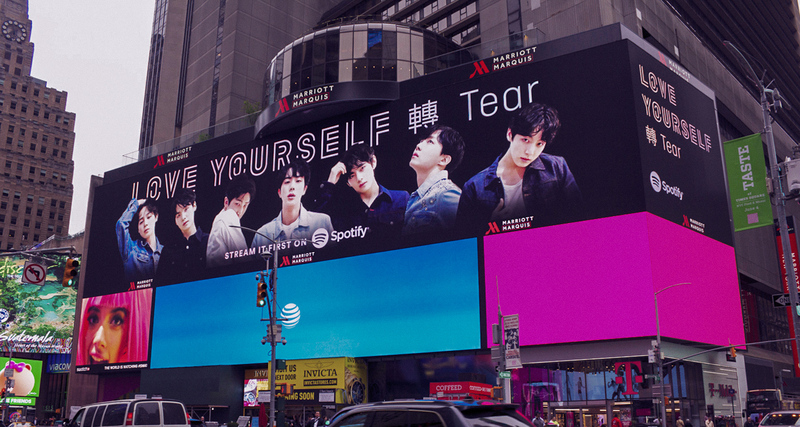 In 2018 Spotify asked me to develop and animate short motion pieces for two of the biggest albums released this year: Black Panther The Album; and BTS: Love Yourself - both designed for the biggest screen in the world: Times Square's Godzilla screen. Quick turnover and brief, to-the-point visuals were required for both projects. Black Panther The Album borrowed heavily from Spotify's already well known graphic identity, while BTS: Love Yourself took a more emotional, and tearful approach.